Reading series revives the mystery of whether Christopher Marlowe was William Shakespeare. Conflict rages in the Middle East. Nations spar. A brash upstart burns a Qur'an. It occurs in Act 5 of Tamburlaine the Great, Part II, written circa 1588 by Christopher Marlowe, the Elizabethan superstar who was stabbed to death at age 29 and served as the two-months-younger William Shakespeare's greatest influence. Subterranean Shakespeare presents a staged reading of this play at the Berkeley Unitarian Fellowship Hall (1924 Cedar St., Berkeley) on Monday, June 21. "I've had an obsession with Marlowe since college, because there's this general sense that Shakespeare wouldn't be Shakespeare without Marlowe," he said. "There's this literary indebtedness to Marlowe" looming in Shakespeare's work. But what also intrigues Spenger, as it has intrigued millions of theatergoers and readers, is the literary mystery twining the pair. Some scholars claim that Shakespeare stole lines, scenes, and entire plays from his idol Marlowe. 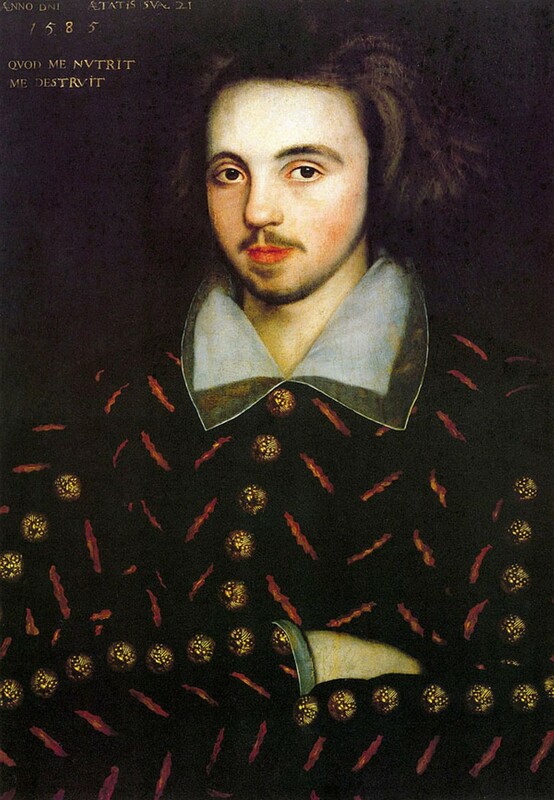 Others, subscribing to the so-called Marlovian Theory, believe that Marlowe faked his own death to avoid legal troubles and reinvented himself with a new identity: William Shakespeare. According to Marlovians, Marlowe was Shakespeare. "Either Marlowe was involved in some way with the actual creation of Shakespeare's plays or he was in fact the author of Shakespeare's plays," mused Spenger. Citing similarities peppering the pair's works, Spenger noted that as the lead character in Marlowe's Doctor Faustus "hands over the scroll of his soul" to Mephistopheles, he intones: "Ay, take it, and the Devil give thee good on't." Preparing to give a pound of flesh in Shakespeare's The Merchant of Venice, Shylock says: "Why, then the Devil give him good of it." Echo, homage, or theft?